The core of any Indian dish is always a blend of spices. As soon as the skillet heats up against the flame, one of the first ingredients to hit the bottom of the pan will always be a pinch of an aromatic spice. We Indians have been using them for centuries. A fundamental part of the Eastern life they are not only used in our cuisine but also for their healing properties. 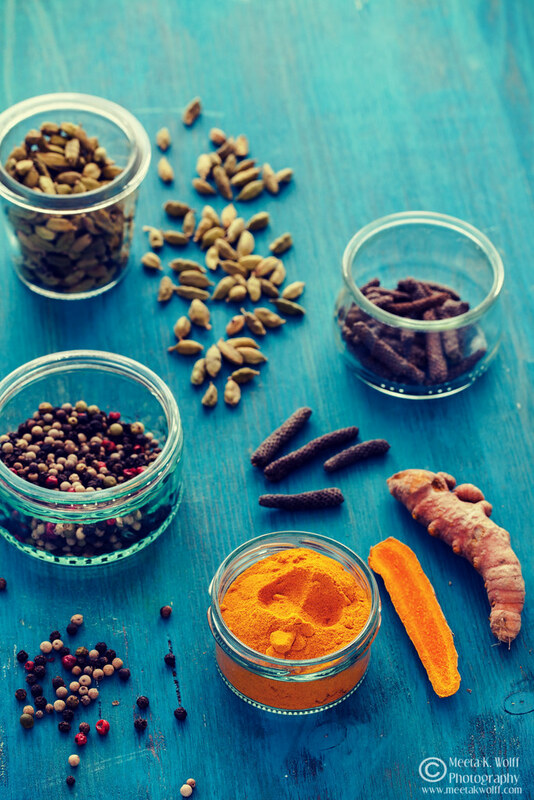 As the Romans followed the spice trails, bringing several spices back into the western countries, their culinary possibilities opened up a world into new tastes and blends. Sizzling, hissing and sputtering, spices make dishes come alive! Complementing the ingredients, spices are a harbinger of different flavors, enhancing the tastes of everything they are added too. Only a small amount is needed to add a heady fragrance and taste to food. What would the famous Indian curries be if it was not cooked up in the intrinsic blend of spices? TIP: For best flavor always buy whole spices, if possible in smaller amounts, as each spice dissipates over time altering the overall balance of flavors as they age. Spices should always be stored in a cool, dry environment. The best place to store fresh spices is in small jars in a cupboard. Dried spices can be expected to keep their flavors for up to six months. I really cannot imagine my dishes without the sometimes subtle, other times bold accents of spices. My Indian roots and Middle Eastern upbringing has defined my cuisine over the years and I automatically reach into my spice cabinet for a pinch or a sprinkle of spice to add to my dishes. Living in Europe I got acquainted with other spices often used to preserve or pickle ingredients and so my spice cabinet is often overflowing with several jars and bags of valuable spices. I sometimes think if I was able to visit each country represented by a spice in my cabinet – I am sure I would have travelled the world a few times over! For my March edition of Spice Infusions I introduce you to a colorful array of spices: turmeric, pepper and cardamom. Spice Infusions is my ongoing photography project together with 3 talented ladies Simi Jois, Dolphia Nandi-Arnstein and Deeba Rajpal. Over the year we are journeying on a magnificent trip to discover spices from all around the world. Each month we will take three spices and present them visually. This month I wanted to keep things clean and crisp. After we decided on the three spices I was very certain I would be using whites to highlight the spices. Nonetheless, the color of the turmeric tempted me to try a few shots with a turquoise background. I reverted back to my idea of white probably because I had specific visions of using fabric and light to create the main textures of reflections and shadows around the heroes of my image. I am still in love and continuously using my 100 mm macro lens I bought earlier this year and find taking shots for subjects like spices I am able to get up close and really focus on the texture and structure of each ingredient. I am also aiming to keep most of these images simple. Those of you who know my style will know that I love styling and propping my images. Here with this project I am playing around with keeping things simple and “unpropped”. 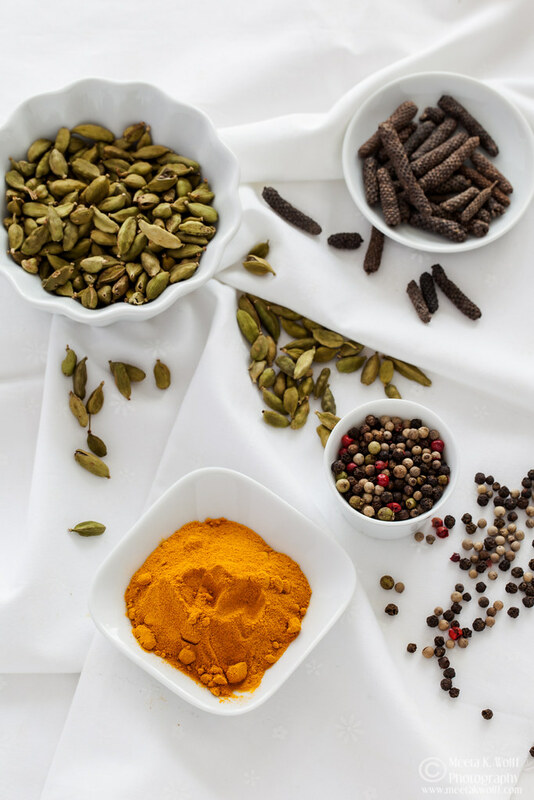 For a complete overview of Indian spices my Enspiceopedia - the Indian Spice Kitchen will offer you a plethora of valuable help on how to start using the spices. I divide the spices into 3 categories: basic spices like cumin or coriander; the complementary spices like fenugreek or nigella and then the aromatic secondary spices like cloves or cardamom. With this simple breakdown it becomes easy to pick, pair and play around with the spices. Using the example of a simple vegetable dish - I guide you through how to pair and highlight the basic spices with complementary spices and enhancing the flavors with the aromatic spices. In the following section I explain a little more about the spice and my own uses for each of them with a few recipe suggestions. Turmeric is a basic spice in Indian cooking. It comes from the root of Curcuma longa, a leafy plant, which belongs to the ginger family. The rhizome, has a tough brown skin and bright orange flesh. Ground Tumeric comes from these rhizomes, which is boiled or steamed and then dried, and ground into a powder. Besides giving the curries a vibrant yellow color, this “super spice” is extremely popular for its health benefits and medicinal properties. It has a rich, warm and mellow flavor and is used liberally in Indian cooking in all regions of the country. It is an important spice for many curries, vegetable dishes and rice pilafs and biryani. I too use it liberally in my kitchen, but not only for my Indian curries. Turmeric enhances my soups, especially a hearty fish soup, I roast seasonal vegetables with a good sprinkling of turmeric powder, gnocchi tossed in a blend of turmeric powder and some melted warm clarified butter or ghee is simply out of this world! My mum still uses turmeric for her homemade facemasks: a few tablespoons of honey, quark and a good sprinkling of turmeric refreshes and cleanses the skin incredibly. 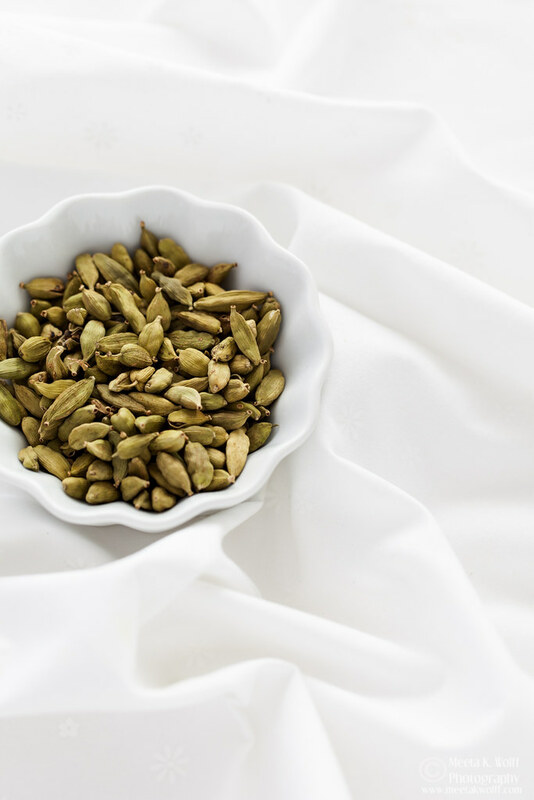 Cardamom is one of the world’s most ancient spices and an expensive spice, second only to saffron. This too belongs to the ginger family. The aromatic seeds are encapsulated in a pod which has to be cracked or bruised to release the true power of flavor behind this spice. While Indians will chew the entire pod and the seeds as a mouth freshener, Greeks and Romans often use it as perfume. It boasts of wonderful citrusy, minty and floral notes and captures an exotic essence in all of the dishes it is added to. It is not the most subtle of spices but if it is used properly it will take a simple sweet or savory dish to new heights adding layers of exciting flavor. It is one of my favorite spices and in my kitchen it is often used for sweet and savory dishes. My mango ice cream is divine with a hint of cardamom in it, the afternoons are never complete with a good dose of cardamom in a masala chai or I will even crack a few pods into my coffee. Baking a luscious coffee cake with cardamom and a drizzle of olive oil always impresses my girlfriends. As one of the world’s most popular spices, pepper is grown in all the spice regions around the world. From India, Vietnam to Brazil there are several varieties each with its own flavor profile. With all the varieties the Tellicherry peppercorn is probably the reigning king of them all. 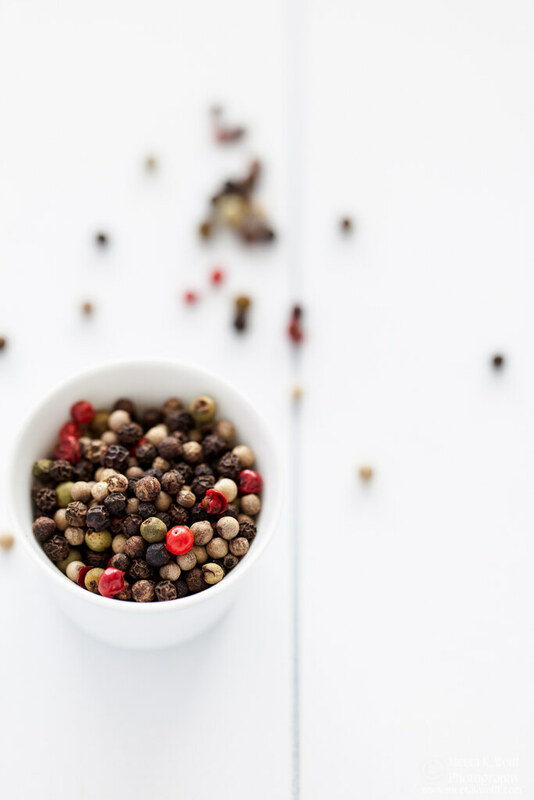 These peppercorns need to originate from Tellicherry, a city on the Malabar coast of Kerala in India and are considered the finest peppercorns in the world. It has a bold and earthy flavor with certain pine notes adding a freshness to its profile. This interesting and complex balanced flavor makes it a great ingredient for several robust meat dishes like a stew or a vindaloo. The Lampong pepper from Vietnam is another world class pepper that packs a nice punch. The initial citrusy flavors with hints of anise are replaced by that signature black pepper bite. A good pepper to crust your steaks with. Those lovely pink peppercorns are the semi-ripe berry of the schinus bush. It is not a true peppercorn and is very mild and fruity in flavor. They are floral and camphor with a slight tingly pepper taste. With the popularity of the black pepper, wild long peppers disappeared into culinary obscurity. In ancient Rome they were widely used and cherished for their deep and complex flavor. It has flavors that are reminiscent of a spice blend with sweet notes of cinnamon, nutmeg and cardamom. Although it has the punch and heat of black pepper it is less harsh with an earthy pungency. I recently discovered these and am totally loving experimenting with them in my kitchen. They are great with lentils and stews and right now with asparagus in season a good grind of some long pepper adds incredible depth! 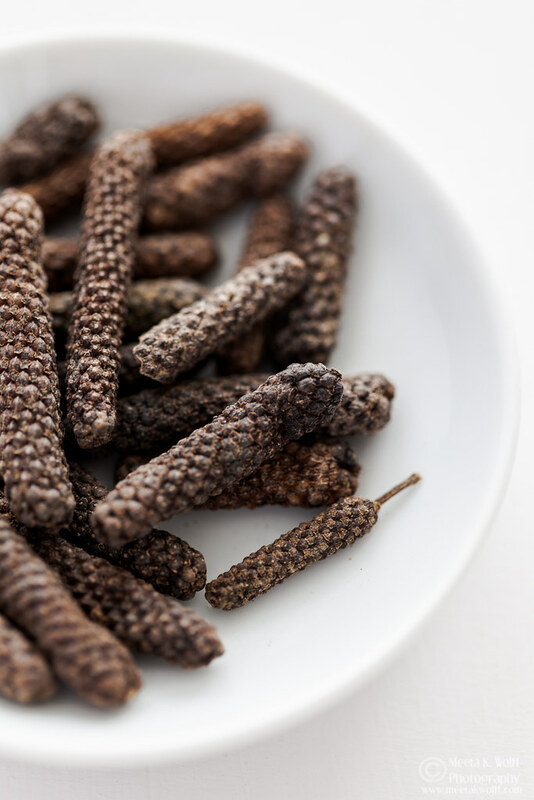 Long pepper grinds easily in a spice grinder, either finely ground or coarsely cracked, it can be easily used as a substitute for black pepper but where a sweeter, spicier accent is desired. Hope you enjoyed this little insight in three brilliant spices in words and images. The next edition promises to be fiery hot – I promise! Do stop over at Deeba, Simi and Dolphia’s blogs to check out their spice trails too. I am a huge fan of all of these spices. Your photos are so soft and inviting - beautiful post and photos! Spices are fun and add so many awesome tastes! Thank you! I love cooking with spices, they really bring food to life. As always the photography is stunning Meeta. Yes they do! Thanks for your kind comment George! What a great series! The turmeric + ghee + gnocchi combo sounds perfect. Jamie - yes it is a real treat. Or just a small amount of cream and turmeric heat - the perfect pasta base sauce! Thank you for your comment! This was so informative! I adore using spices, and am a huge fan of buying them in bulk so I can get small amounts (usually very inexpensively) and use them up before they go bad. Cardamom is one of my favorites, and I'm just beginning to use turmeric a little more widely in my cooking. I'd never seen those long peppercorns before, but now I will definitely have to seek them out! 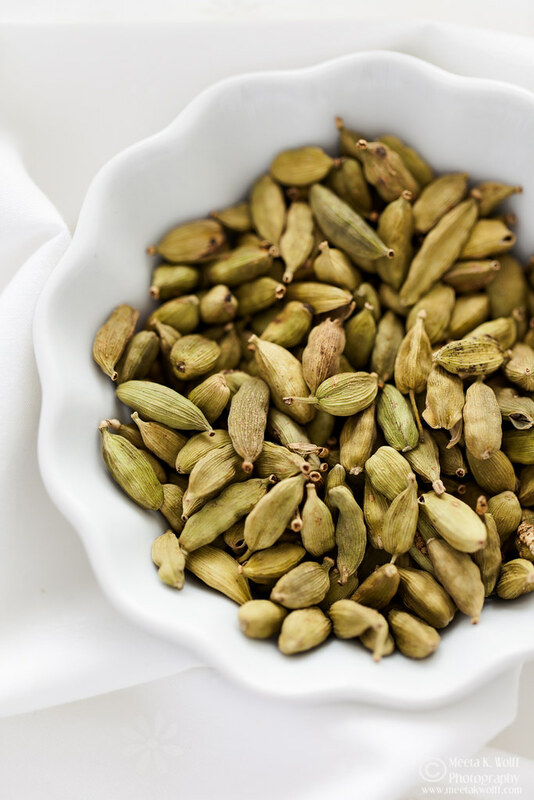 Cardamom is one of my faves too. As for turmeric there are so many great ways you can use it. If you need ideas just drop me an email! Thank you for your comment! All my favorite spices! I love how you photographed each one. Such a great post. I may have never tried Indian food had it not been for several graduate students at the university where I worked. I am forever grateful that they took the time to share with me and woke my tastebuds up to these wonderful spices! I absolutely love Indian food, and I've been trying to become bolder with experimenting with these spices in my cooking. Turmeric is absolutely love and I have always been a fan of cardamom! Thank you for sharing such an informative post! I've recently been playing around with a lot more spices (tumeric, hot paprika, saffron, etc.) and it's been so fun learning my way around them! Wow, what a great resource this is. Thanks so much for sharing about these spices. Hearing so many good things about the healing properties of tumeric, I have wanted to use it more but wasn't sure how it would work in my cooking -- this helped a ton. Glad I can help Sarah! Let me know if you have any questions or are in need of ideas! I love experimenting with spices...they certainly are the star in so many dishes. Thanks for the great info on preparing them. I totally agree! Glad you enjoyed this! I wish you were here Sandhya - I am sure we would have fun! 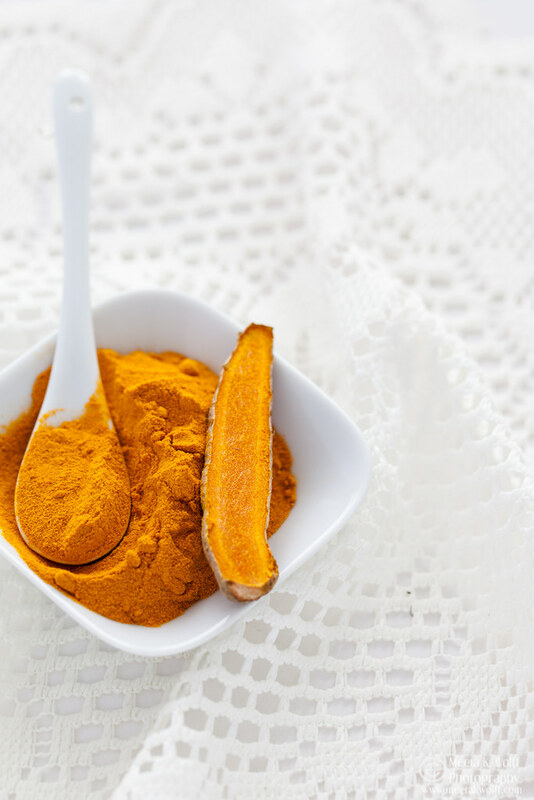 that blue background on your photos is stunning, really shows off the turmeric beautifully.